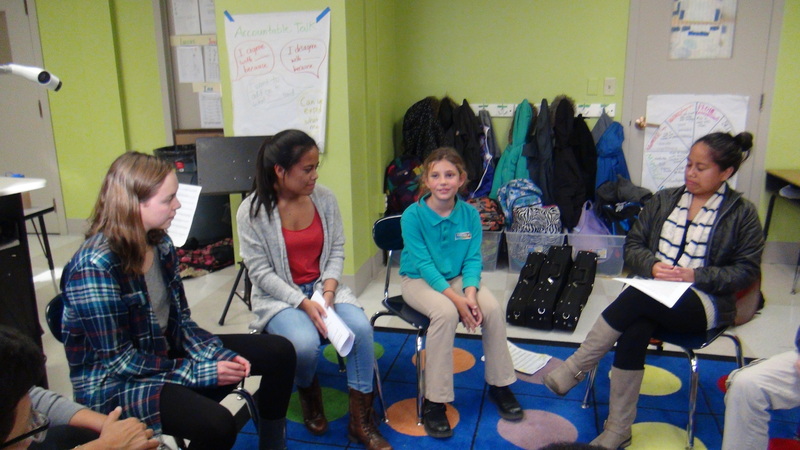 This post is Part 1 of a three-part series about From the Top’s Fall 2014 residency at the Conservatory Lab Charter School (CLCS), an elementary school in Boston with a music-intensive curriculum. Each year, From the Top’s Center for the Development of Arts Leaders partners with organizations around Boston, making way for extraordinary young musicians to take their music beyond the concert hall and out into the community. These partnerships are incredibly meaningful for the audiences, many of whom experience music for the first time because of From the Top. Likewise, when our arts leaders make positive and lasting impacts on their communities through music, they learn lessons and have experiences that significantly shape their futures. This fall, four high school-aged From the Top arts leaders are participating in a week-long chamber music residency at Conservatory Lab Charter School (CLCS) in Dorchester, MA, where they will perform, teach, and be coached both by CLCS teachers and From the Top’s Education team. At the end of the residency, both the arts leaders and the elementary school students will perform for the school community. On October 27, From the Top arts leaders arrived for the Introductory Day of the residency. 18-year-old sisters Julia and Emma Churchill (violin and cello), 16-year-old violinist Corinne Auger, and 16-year-old violist Claire McEwen walked into the school with instruments in hand and nerves running high. Coming straight from their own respective high schools, the students were about to take on a new role…as teachers. 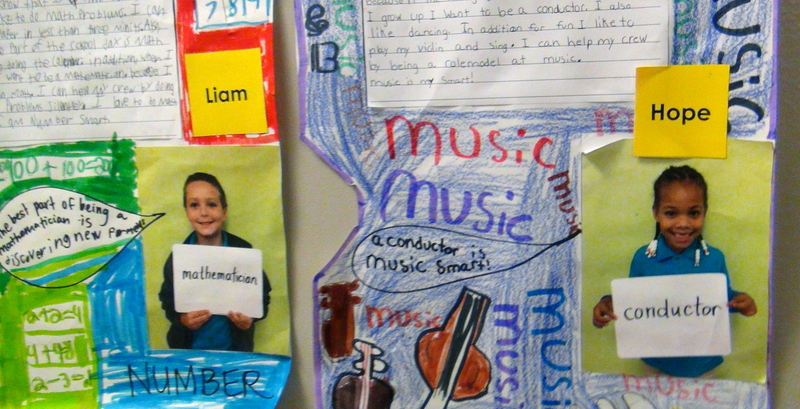 Making their way to the classroom, the arts leaders wound through hallways plastered with art of musical instruments, photos of students, and musical quotes. A cacophony of scales and practicing emanated through the walls. 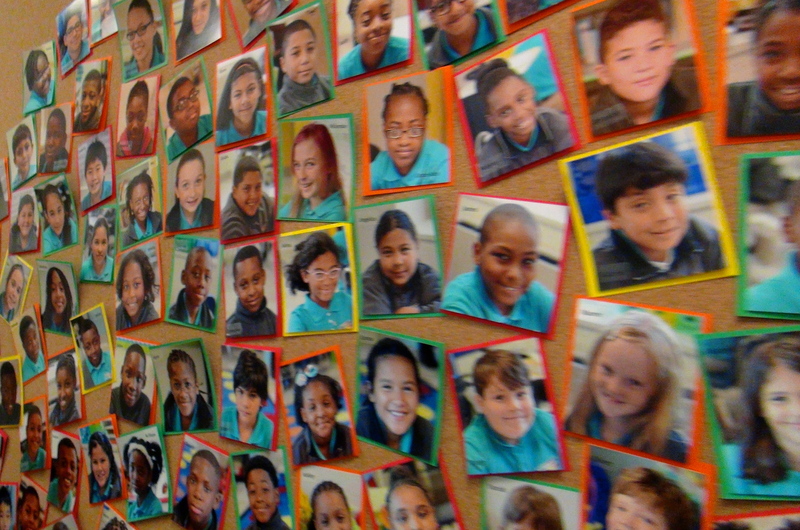 A few moments later, four wide-eyed elementary school students tiptoed into the classroom. They quietly sat down next to the arts leaders and set up their instruments. Shyness and trepidation was thick in the air. After introductions, the whole group then proceeded to sight-read Ode to Joy from Beethoven’s 9th Symphony. Lifting their bows to finish, the group exchanged giggles and glances. While it was clear that there was much work to be done, the week ahead was sure to be life-changing for everyone involved. The group had already begun a wonderful relationship through the universal language of music. 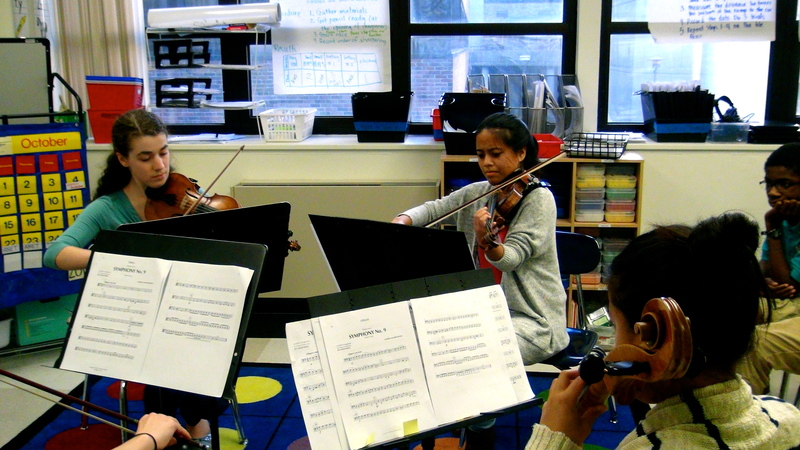 Stay tuned for Part 2 of this series to see what happens with our arts leaders at the Conservatory Lab Charter School.